Do you know what can make your everyday commuting to and from your job much better? A better sound system for your car. Have you ever noticed how a drive will seem significantly shorter when you have been listening to some good music and you end up surprised how you got home so quickly? And by the way is it just me or does your favorite song always comes on just when you are about to arrive. If up to now you don’t relate to anything I am saying it’s because you have been using the wrong car speakers. Because in order to experience the real beauty of music, it needs to be delivered flawlessly. Something the factory speakers for your car might not be able to do. Luckily you do not have to be left out the fun. In this article, we give you the 5 best 6.5 speakers that will actually make you enjoy every moment in your car. Now instead of getting agitated when there is a traffic snarl-up you can just turn up the volume and get lost in the musical utopia. Okay, now I am just getting carried away. 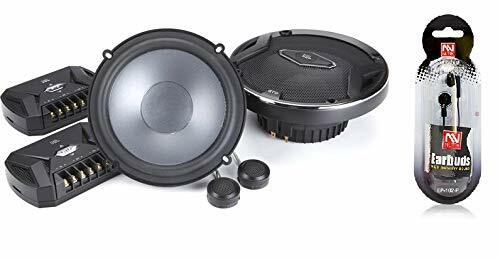 Read on for a detailed review of 5 of the best car speakers you can purchase in 2019. I like these speakers from Pyle because, on top of producing excellent quality sound, they also feature a beautiful design. The poly injection cone comes in a dazzling blue color that’s really pleasing to the eye. The propylene material is also important in giving the speaker rigidity without adding any significant weight. This consequently results to a smoother frequency roll out and ultimately a crisp sound quality. 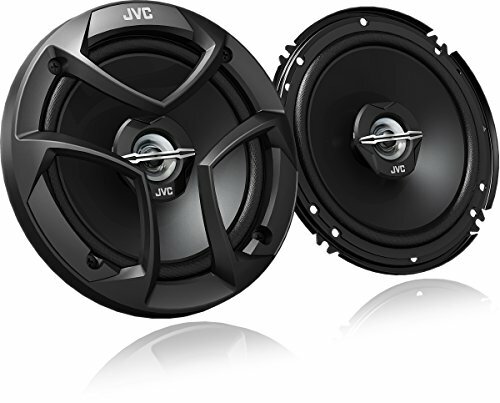 Then there is the 1-inch ASV voice coil that not only enhances the driver stiffness but also provides a higher watt efficiency and facilitates better handling of higher temperatures. Another noteworthy feature of this set of speakers is the 4 Ohm impedance. Considering that most of the cars have noticeably small connecting wires, a small impedance means less resistance and hence maximum utilization of the 360W delivered by your car. 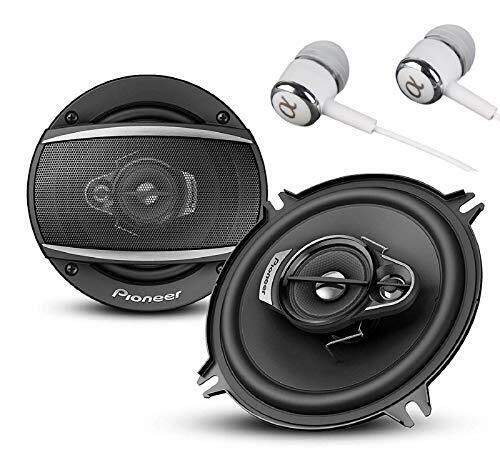 This Pyle Pro three-way sound speaker system also comes with a 1-inch neodymium film dome midrange driver and a ¾-inch piezo tweeter for the perfect blend of mid and high frequencies. The frequency response of these speakers is measured at 100 Hz to 20 kHz. To increase the longevity, the speaker is surrounded by a strong butyl rubber that firmly holds it into place while acting as a shock absorber. The Pyle PL63BL 6.5-Inch 360-Watt 3-Way Speakers is our top choice 6.5 speakers and after listing its various features this should not come as a surprise. These are speakers that have been carefully thought out to give you an unmatched sound quality and great aesthetics to match. This is another excellent replacement for your car’s stock speakers. 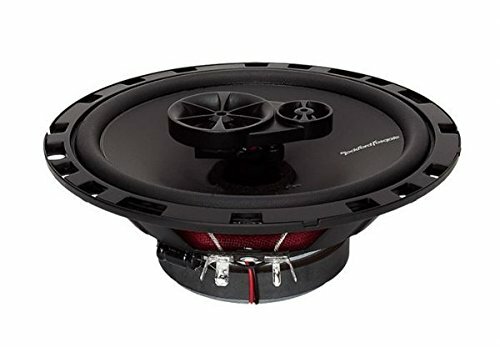 The Fosgate R165X3 has an RMS rating of 45 Watts with the ability to reach a peak power of 90W. These are ratings that have been tested and conform to the CEA-2031 industry standards. One of the first things you will notice is the impressive low-frequency reproduction thanks to the vacuum polypropylene cone structure that provides more surface area and hence a boosted bass. Then there is the Piezo tweeter and midrange drivers mounted on a silk dome pole that ensures the perfect execution of the mid and high frequencies. This is further enhanced by the incorporation of an integrated tweeter crossover that seamlessly directs the high frequencies to the dedicated drivers. Also, included in the package is a grill to cover the speaker cone. However, the grills have been reported to obstruct the sound in a way and thus if you can do without them the better. The installation process is quite easy and the mounting hardware is included in the package. With all that said, it’s really hard to imagine any way in which the R165X3 would disappoint you. Compared to similarly priced speakers, I can tell you confidently that the Rockford will give you great value for your money. I bet you would be really surprised if we concluded this list without the inclusion of a Pioneer speaker. And since we are talking about 6.5 speakers, none does it better than their A series. For this review, we will focus on the TS-A1686R which comes with a combined RMS power of 60W. That is 30 RMS for each speaker and a peak power of 320W. One of their distinguishing features is the oversized multilayer mica-matrix woofer that is about 14% bigger than the standard 6.5 speakers. Which means they have an overall better low-frequency response than the typical speakers. The high frequencies are handled by the 3/8-inch polyethylene terephthalate dome tweeter while the 1/8-inch balanced midrange takes care of the rest. The unique design of the TS-A1686R speakers ensures the mid and high frequencies are projected uniformly to give a perfectly balanced sound. You also don’t have to worry about the speaker overheating when playing at high volumes thanks to the heat-resistant voice coil wire. And to cap it off, the TS-A1686R speakers are characterized by a high sensitivity that significantly lessens their power demands. This can be attributed to the light-duty elastic polymer surround. Pioneer is a brand that hardly disappoints and the TS-A1686R series is no different. Although we have specifically talked about the 350W model there is a bunch of other variations you can choose from the A-series. These range from 200W to 650W which is actually the most power you will find in a 6.5 speaker. JBL may not be the biggest name in the car audio industry but don’t rule them out just yet. They have been a formidable force in the home entertainment scene for over 60 years and now, their expansion into car audio seems to be doing great as well. Actually, I don’t have to say much since their 6.5” 540W 2-way speaker system speaks for itself. So, what makes this speaker stand out? For starters, there is the patent-pending JBL plus one cone technology that affords the speakers more surface area for a better bass production. This is then backed up by the Edge-driven Mylar-Titanium super tweeter to reproduce the high frequencies. The advantage of using Mylar and Titanium is that you get an incredibly strong driver without any unnecessary weight addition. The tweeter also incorporates a huge voice coil much like those you would observe in a home theatre system. This significantly enhances its power handling capabilities and at the same time reduces distortion at high output levels. What’s more is that you can move the tweeter which allows you to properly optimize the sound. And finally, unlike some of the other speakers that rely on bass blockers to prevent the low frequencies from leaking to the tweeters, the GT0638s uses a built-in crossover system to flawlessly distribute the various frequencies to the woofer and tweeter. The installation process may take you a little while but these speakers will fit in almost all the factory-built speaker cabinets. Also, before being released into the market, these speakers are tested under various conditions like different temperatures, exposure to UV lights and even vibration to simulate placement in a real car. This then means what you get is a tested and proven product. And now for our final speakers. The JVC CS-J620. 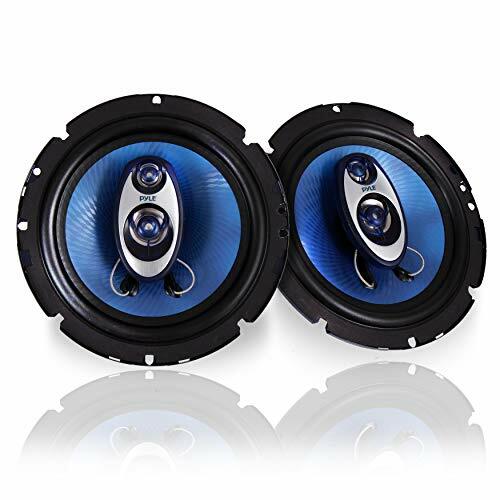 This pair comes with a combined power handling of 60W RMS and 600W peak power. Therefore, even with a standard factory amplifier, you will still be able to get great sound from them. But my favorite feature on these speakers is the Poly-Ether Imide balanced dome tweeter. You see, most speakers only claim to reach a 22,000Hz frequency but do not actualize it. With the CS-J620 however, you can immediately hear the clearly defined high frequencies the moment you turn them on. And to balance it off, the speakers feature a hybrid, rubber and cloth surround that compliments the mica cone woofer to brilliantly reproduce the low and mid-range frequencies. The drivers are mounted onto a steel stamped frame that gives them rigidity and helps to reduce sound distortion. This frame has then been made as shallow as possible and features pre-arranged hole patterns to make installation a straightforward process. But in case it requires to be modified in order to fit your car, JVC has been kind enough to provide you with mounting tabs and extra screws. This is a really great speaker that you get at an even better price. Which places it as the best option to consider when you want to upgrade your car audio while spending the least amount at it.